Before :- Prakash D. Naik, J. Criminal Appeal No. 392 of 1999. D/d. 15.2.2017. For the Appellant-State :- P.H. Gaikwad, Assistant Public Prosecutor. For the Respondent :- S.B. Shetye, Advocate. Prakash D. Naik, J. - Heard learned APP for Appellant-State and learned counsel for the Respondent. This appeal has been preferred by invoking Section 378(1) of Code of Criminal Procedure, 1973 (`Cr.P.C.') against judgment and order dated 16 April 1999 passed by Judicial Magistrate, First Class, Rajapur in Summary Criminal Case No.224 of 1996. 2. The Respondent-accused was tried for the offences punishable under Sections 279, 337, 338 of Indian Penal Code (`IPC') and Section 184 of Motor Vehicles Act. The proceedings were conducted in accordance with summary procedure as envisaged under Chapter XXI of Cr.P.C.. By judgment and order dated 16 April 1999, the Trial Court has acquitted the Respondent-accused under Section 255(1) of Cr.P.C. for the offences under Sections 279, 337, 338 of IPC and Section 184 of Motor Vehicles Act. d) FIR was registered against the accused for the aforesaid offences. On completing the investigation, charge sheet was filed. 4. The charge was explained to the accused on 7 October 1996 in accordance with the provisions of law. The prosecution examined PW-1 Miss Pournima Paranjape (daughter of the injured), PW-2 Smt. Vasanti Paranjape (injured person), PW-3 Vishwanath Shetye (Shop Keeper), PW-4 Bhikaji Gurav (Pan Stall Vendor), PW-5 Sachin Natekar (Panch - spot panchanama) and PW-6 Nandkumar Sawant (Investigating Officer). 5. After recording the evidence of the witnesses, statement of the accused was recorded under Section 313 of Cr.P.C. The prosecution and defence were heard and as stated above, the accused was acquitted of all the charges. This appeal has been preferred challenging the said order of acquittal by the State. 6. PW1 stated in her evidence that she was accompanying her mother (PW2). Both of them were waiting for the bus near the platform of stone near the bus stop which is situated at Bengi to Kasheli road. One trax vehicle came from Kasheli side in high speed and rolled over on the legs of PW2. PW2 sustained serious injury due to said dash of the vehicle. The injured was taken to the hospital. The accused was driving the said vehicle. The injured was treated for about 35 days for the injury and her left leg was partially cut down. In the cross examination, the said witness has deposed that her mother was sitting on the platform and she was standing on the ground near her mother. Both the legs of her mother were hanging towards the ground as she was sitting on the platform. The trax vehicle was coming from Kasheli direction and was going towards Bengi. She further stated that Police had recorded her statement after she came from Miraj i.e. after about 35 days from the date of incident. The said statement was recorded at her residence. They came from Miraj to Aadivare on 30 January 1996. She further stated that Jeep came in parallel direction towards rocky platform and after giving dash to the said platform, the said vehicle had stopped there. She also deposed that Police did not inquire with her about the speed of vehicle at the time of accident. She also stated that her mother did not fall on the ground from the rocky platform on seeing the vehicle coming to her direction. She also stated that she did not come to village Aadivare for about 35 days after the accident. She could not state whether there were any break marks or tyre marks of vehicle at the spot of accident. She was standing near her mother who was sitting on rocky platform at the time of accident. 7. PW2 has deposed that on 18 December 1995, she was sitting on the platform in front of Mahakali Temple and PW2 was standing near her. While sitting, her legs were hanging towards ground. The subject vehicle came from eastern direction and was going to southern direction and all of a sudden, the vehicle gave a dash to her. Due to the said dash, she sustained injuries to her legs. She was treated at the hospital and 3/4th portion of her leg was uprooted. The accused was driving the said vehicle. In the cross examination, she deposed that she along with PW1 were not sitting on the rocky platform. Her statement was recorded by Police on the same night of accident at Ratnagiri Civil Hospital. Police also recorded her supplementary statement after about one and a half month from the date of recording of her first statement. Police had recorded her supplementary statement on 4th February 1996. She stated that she has not stated to police that she was sitting on the rocky platform along with PW1 and she disputed the version appearing in the statement recorded by police. The trax came after taking "U" turn. The front portion of trax vehicle came in contact with her right leg. She further deposed that none of the police officers from Rajapur police station had visited Miraj during 35 days of her treatment at the hospital. She had witnessed the vehicle all of a sudden. 8. PW3 has deposed that he knows the witnesses as well as accused. He is having a hotel on the eastern side of Aadivare-Bengi road. He witnessed the trax vehicle coming from Kasheli road going towards Bengi. There is a turn prior to road towards Bengi at Aadivare. He noticed that trax vehicle has given a dash to the rocky platform and front portion of the trax came into contact with the legs of PW2. He could not wait at the spot and went towards his hotel. He further deposed that the accident might have occurred on account of mis-judgment while taking turn. In the cross examination, he stated that he is also having a trax vehicle. It is driven by a driver appointed by him. After taking full turn from Kasheli-Gaonkhedi road, the stony platform can be seen and not otherwise. The portion prior to rocky platform on Kasheli road is of "U" turn. He also deposed that the trax vehicle owned by him is also used for carrying passengers in the same area. He saw PW1 and PW2 sitting on rocky platform. He also stated that his vehicle is also having the business of transporting passengers by trax in the same area. He and accused are having the same business of transporting passengers in the trax. 9. PW4 is the pan stall vendor having business adjacent to the rocky platform. He knows PW2 and the accused. One trax came from Kasheli direction and was going towards Bengi and while taking turn, the vehicle gave dash to the legs of PW2. The said vehicle is owned by the accused. He could not say who was driving the vehicle. In the cross examination he deposed that PW1 and PW2 were sitting on platform together. However, there legs were not hanging towards the ground. He stated in the police statement that PW1 and PW2 were sitting on a rocky platform. 10. PW5 was called by police to act as Pancha for spot panchanama. He stated that the spot of accident is on Aadivare-Bengi road which has about "12" to "13" feet width and having kaccha road on both sides of three inches. In the cross examination he deposed that the spot of accident is situated in thickly populated area having traffic of people. The vehicle coming from Kasheli-Aadivare road cannot see rocky platform unless and until it takes full turn towards Bengi near the spot of incident. He did not notice any piece of laterate stones on the spot at the time of panchanama. He also did not notice any blood marks on the rocky platform while writing the panchanama. He also did not notice any tyre marks at the spot of accident. Nobody gave him information at the spot of accident while recording panchanama as to how the accident had occurred. 11. PW6 has conducted the investigation. He visited the spot and prepared the spot panchanama. He completed the investigation and filed charge sheet. In the cross examination, he deposed that he registered an offence on 20 December 1995. On perusing the statement, however, he stated that offence was registered on 25 December 1995. He recorded the statement of witnesses prior to 25 December 1995. He did not record statements of PW1 and PW2 on 20 December 1995. He recorded the statements of PW1 and PW2 after two days of the accident. He deposed that list attached to the charge sheet shows that the date of recording the statements of PW1 and other witnesses is 26 December 1995. He, however, stated that he did not record the statements of PW2 and PW3 and other witnesses on 26 December 1995. The date mentioned by him in ferist as 26 December 1995 regarding recording of statements of all witnesses is false. He did not notice any break marks, tyre marks or skid marks at the spot of accident. He met the injured on 22 December 1995 at Ratnagiri. He cannot tell after going through the papers as to whether he met PW1 for recording her statement and on which day and which place he recorded the same. He did not go to Miraj in connection with inquiry of this case. 12. I have perused the evidence on record. The evidence of these witnesses examined by the prosecution is full of omissions and contradictions. The depositions of witnesses do not inspire confidence. The prosecution has miserably failed to prove the charges levelled against the accused. It is the duty cast upon the prosecution to establish its case beyond all reasonable doubts. The prosecution could not discharge the burden of proving the charge beyond doubt. 13. The Trial Court has appreciated the evidence and noted the infirmities in the evidence lead by the prosecution. On scanning the evidence, the Trial Court has given a finding with reasons that prosecution has not established its case and therefore, acquitted the accused. The Trial Court has analyzed the examination-in-chief and cross-examination of the witnesses examined by the prosecution. The Trial Court has observed that PW2 has stated that she cannot tell from what distance she witnessed the vehicle for the first time at the time of accident. In the cross examination, however, she stated that vehicle came all of a sudden and gave a dash to her. It is, therefore, difficult to accept that she had seen the accused driving the vehicle. It is further observed that evidence of investigating officer is fatal to the prosecution. He is not sure as to when he recorded the statements of witnesses. His deposition is contrary to the depositions of PW1 and PW2. He did not visit Miraj as stated by him and, therefore, he could not establish the date on which he recorded the statements of PW1 and PW2. The infirmities in the evidence, as observed by the Trial Court, creates doubt about the prosecution case against the accused. It is further observed that PW1 and PW2 have stated that they have lodged a complaint on 18 December 1995. PW6 has also deposed that on 18 December 1995 information was given about accident by PW1. However, there is no record to establish the said depositions. Investigating officer has stated that the dates with reference to recording of statements of witnesses as 26 December 1995, is false and that no such statements were recorded on that date. It was also observed that non examination of vehicle from RTO is also a serious lacuna on the part of investigating machinery. For the reasons stated in the judgment, the Trial Court found that prosecution has not proved its case and the accused deserves to be acquitted. 14. Learned APP has submitted that there was sufficient evidence on record to convict the accused for the offences for which he was charged. The Trial Court has committed an error to discard the evidence of PW1 and PW2 being the eye witnesses to the incident as well as being injured person. He submitted that evidence of these two witnesses was corroborated by other witnesses. He submitted that medical evidence brought on record supports the prosecution case that injured had sustained injuries to her legs on account of said accident. He, therefore, submitted that there was ample evidence on record to establish the prosecution case. 15. Learned counsel for Respondent submitted that the Trial Court has passed a well reasoned judgment, which does not warrant interference. The evidence of witnesses examined by prosecution is full of infirmities, which creates doubt about the prosecution case. The evidence of witnesses examined by the prosecution has been discarded by cross examination conducted by the defence. He submitted that the fact that the accused was driving the vehicle itself has not been established beyond doubt. He further submitted that although there is a reference to the occupants in the subject vehicle, they were not examined by prosecution. The version of PW 3 and PW 4 that PW 1 and PW 2 were sitting on platform which was recorded in the statement, was changed by them during their depositions before the Court. The investigating officer is not clear as to when he recorded the statements of witnesses. He submitted that apparently the statements appear to have been recorded after 35 days after the accident. He further submitted that it is difficult to accept that the injured person and PW1 had returned to their village after about 35 days and that PW2 was purportedly undergoing treatment at Miraj. The investigating officer did not visit at Miraj for all those days for recording the statements of injured and PW1. He further submitted that there are contradictions in the evidence of all these witnesses with reference to the position of PW1 and PW2 at the time of alleged incident. The witnesses have contradicted themselves in the examination-in-chief and the cross-examination and comparative evidence vis-a-vis whether they were sitting on the platform or standing on the ground or whether the legs of the injured were hanging towards ground at the time of accident. There is also infirmity with regard to the evidence as to whether vehicle directly hit the legs of the injured or hit the rocky platform. He further submitted that there is no evidence of tyre marks or break marks at the scene of accident. The vehicle was also not examined by RTO to place on record the damage caused to the said vehicle. Learned counsel further submitted that unless the Trial Court has taken a view which is completely contradictory to law or contrary to evidence on record, the Appellate Court need not interfere in the findings of Trial Court. He submitted that the Trial Court has passed the judgment with reasons to support the findings which does not call for interference. He placed reliance on the decisions of Apex Court in case of State of Rajasthan v. Shera Ram @ Vishnu Dutta, 2012(1) R.C.R. (Criminal) 197 : 2011(6) Recent Apex Judgments (R.A.J.) 368 : 2012(1) SCC 602 and in case of K. Venkateshwarlu v. State of Andhra Pradesh, 2012(3) R.C.R. (Criminal) 990 : 2012(4) Recent Apex Judgments (R.A.J.) 211 : 2012(8) SCC 73. 16. I have gone through the evidence on record. It is noted that the prosecution case is full of doubts and the evidence of witnesses did not inspire confidence to convict the accused. The prime witnesses viz. PW1 and PW2 have contradicted themselves and created doubt about their versions. There is no clarity in the evidence of said witnesses as to whether they were sitting on the platform or they were standing on the ground. PW2 has stated that she was accompanied by PW1. She deposed that both were sitting on the platform. However, PW2 also deposed that PW1 was standing on the ground. It is also not clear as to how only PW2 was injured when PW1 and PW2 were sitting or standing close to each other. The evidence also discloses that the vehicle dashed at the platform and injury was caused to the legs of PW2. The evidence also states that vehicle rolled over the legs of PW2 which had caused injuries to PW2. The prosecution has not examined the medical officer who examined the injured person for a long period of time at Miraj. It is also necessary to note that there were no tyre marks or break marks at the scene of accident. The prosecution is required to establish that accused was driving rashly and negligently which is requisite ingredient to constitute the alleged offences. 17. Section 279 of IPC relates to the offence of rash driving or riding on a public way in a manner so rash or negligent as to endanger human life, or to be likely to cause hurt or injury to any other person. Section 337 of IPC speaks about offence of causing hurt to any person by doing an act so rashly or negligently as to endanger human life or personal safety of others. Section 338 of IPC relates to the offence of causing grievous hurt to any person by doing any act so rashly or negligently as to endanger human life or personal safety of others. The prosecution has not succeeded in establishing these ingredients of being rashly or negligently which is the requirement to constitute the aforesaid offences. Similarly, offence under Section 184 of Motor Vehicles Act also relates to driving dangerously which has not been established by prosecution as the evidence suffers from serious infirmities. Section 279 of IPC has two essential ingredients; (i) driving of vehicle and (ii) driving must be so rash or negligent as to endanger human life or likely to cause hurt or injury to any person. A certain aggravated degree of rash or negligent driving is contemplated in the said provision. A rash act is primarily an overhasty act and thus opposed to a deliberate act, but it also includes an act which though it may be said to be deliberate, is yet done without due deliberation and caution. In rashness, the criminality lies in running the risk of doing an act with recklessness or indifference to consequences. Criminal rashness is a dangerous act with the knowledge that it is so and that it may cause injury, but without intention to cause injury or knowledge that it will be probably caused. The fact that accused was merely driving a vehicle at a high speed cannot attract Section 279 of IPC. The fact that a vehicle is driven in speed or that a vehicle is not driven in speed, cannot by itself without judging the situation in which the driver had been placed, be a factor to determine the rashness or negligence. High speed may not, in each cash, is sufficient to hold that the driver is rash or negligent. In fact, in the present case, it is not established that the driver was, in such a high speed, driving in reckless manner or that he was rash or negligent. Section 184 of Motor Vehicles Act which also relates to driving dangerously, makes it clear that the person has to drive a vehicle at a speed or manner which is not dangerous to public having regard to the circumstances including nature, condition and use of place where the vehicle is driven and the amount of traffic which actually is at the time or which might reasonably be accepted to be in place. Offences under Sections 337 and 338 of IPC, as stated hereinabove, also refer to the act done rashly or negligently for which evidence is short to convict the Respondent-accused. 18. The Apex Court in case of State of Rajasthan v. Shera Ram @ Vishnu Dutta (supra) has observed that the judgment of acquittal has a consequence of granting freedom to the accused. Unless the judgment in appeal is contrary to evidence, palpably erroneous or a view which could not have been taken by the Court of competent jurisdiction keeping in view the settled cannons of criminal jurisprudence, the Appellate Court shall be reluctant to interfere with such judgment of acquittal. It is further observed that penal laws in India are primarily based upon certain fundamental procedural values, which are right to fair trial and presumption of innocence. A person is presumed to be innocent till proven guilt and once held to be not guilty of a criminal charge, he enjoys the benefit of such presumption which could be interfered with only for valid and proper reasons. "5. The High Court has set aside order of acquittal. This Court has repeatedly stated what should be the approach of the High Court while dealing with an appeal against acquittal. 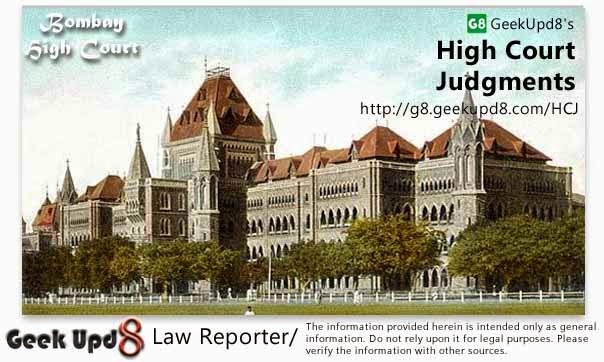 If the view taken by the trial Court is a reasonably possible view, the High Court cannot set it aside and substitute it by its own view merely because that view is also possible on the facts of the case. The High Court has to bear in mind that presumption of innocence of an accused is strengthened by his acquittal and unless there are strong and compelling circumstances which rebut that presumption and conclusively establish the guilt of the accused, the order of acquittal cannot be set aside. Unless the order of acquittal is perverse, totally against the weight of evidence and rendered in complete breach of settled principles underlying criminal jurisprudence, no interference is called for with it. Crime may be heinous, morally repulsive and extremely shocking, but moral considerations cannot be a substitute for legal evidence and the accused cannot be convicted on moral considerations. The present appeal needs to be examined in light of above principles." From this decision also, it is clear that the judgment of Trial Court acquitting the accused can be interfered with only in the circumstances enumerated therein. 20. In view of the aforesaid circumstances, I find that the Appellant-State has not made out any case for setting aside the judgment and order of Trial Court. The order of acquittal in the present case cannot be converted into conviction. The acquittal order is justifiable in the facts and circumstances of present case. Taking into consideration the nature of evidence lead by the prosecution, I find that the order passed by the Trial Court deserves to be confirmed. The appeal is dismissed, with no order as to costs. Indian Penal Code, 1860, Sections 279, 337 and 338 - Motor Vehicles Act, 1988, Section 184 - Rash and Negligent driving - Vehicle driven at High Speed - Held that, the fact that a vehicle is driven in speed or that a vehicle is not driven in speed, cannot by itself without judging the situation in which the driver had been placed, be a factor to determine the rashness or negligence.